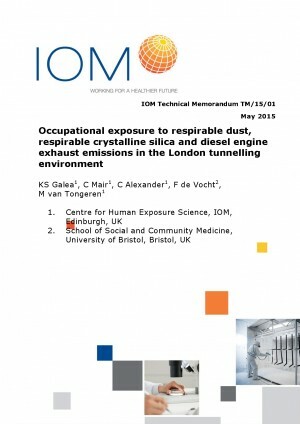 An IOM air quality research report comprising a series of measurement campaigns on the Crossrail project to investigate exposure to respirable dust, respirable crystalline silica and diesel engine exhaust emissions of the workers involved in tunnel construction. Access the document here. A separate paper on this topic was also published in the Annals of Occupational Hygiene. Access the document here.